Ninja Sword - Master the Ninja Art! 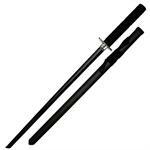 Designed with pure intellect, the ninja sword is something that carries an exciting history to its name. Originating from the mountains of Honshu, Japan. The farmers came up with the idea of having weapons to defend themselves, their village and their lands from outlanders. One such weapon that they came up with, is the ninja sword. 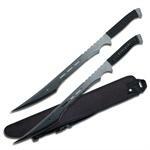 Knife Import houses a variety of ninja swords that you surely would love to have if you are a ninja enthusiast. Ninjas were basically farmers who originated from the mountains of Japan. These poor people came up with the idea of protecting themselves, so they made weapons for themselves. These people were very intellectual and designed exceptional weapons and mastered the use of weapons. Once mastered, you were known to be a ninja. The ninja sword is one such item that was designed by these people. 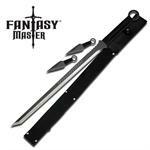 Whether you are an item collector or a ninja enthusiast, these ninja swords would surely suit you. 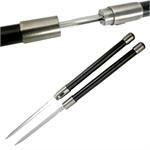 At Knife Import, you can buy the real ninja sword at very affordable price and you would love to have your hands on it. Ninja swords are spectacular swords that make you feel like a real ninja. Remember, the cartoon ninja turtle? That ninja turtle sword is just what we are talking about. Knife Import houses a wide range of ninja swords for sale. 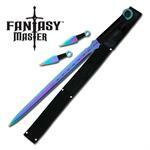 The titanium sword in our collection is a top selling sword and is a must have for all ninja lovers out there. 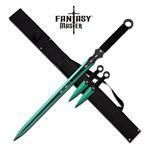 Ninja steel sword and the black swords are also available at Knife Import. Browse our collection and pick up the real ninja sword for yourself today. 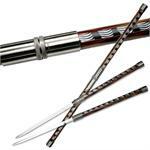 All the available swords at Knife Import, are made up of high quality material. 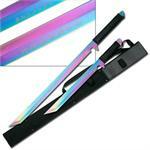 The perfect quality ninja swords are available at very cheap price. 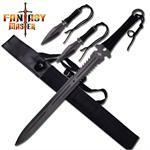 You, being retailers, can make the most out of our wholesale swords by buying in bulk. 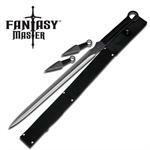 Yes, buying in bulk will not only save money but you can also generate a good revenue by selling these swords. This offer is not only for the ninja swords, but it’s for all the swords that we have on board.